Travel up Routes 214, or 296, or 42, or any of the other scenic roads that take you from Ulster to Greene County and beyond, and you’ll be treating yourself to the most gorgeous rural scenery you can imagine. Yet it’s not only a series of pretty pictures; it’s also an area packed with history—the history of farmers, innkeepers, and other intrepid folks who settled here and created Tannersville, Hunter, Windham, Prattsville, and the other places that dot this rolling, bucolic landscape. Most surprisingly, perhaps, is that this Catskill region called the Mountain Top is bursting with cultural life. Music, drama, the visual arts – you name it, there is no reason to miss New York City when it comes to culture; the Mountain Top has it all. 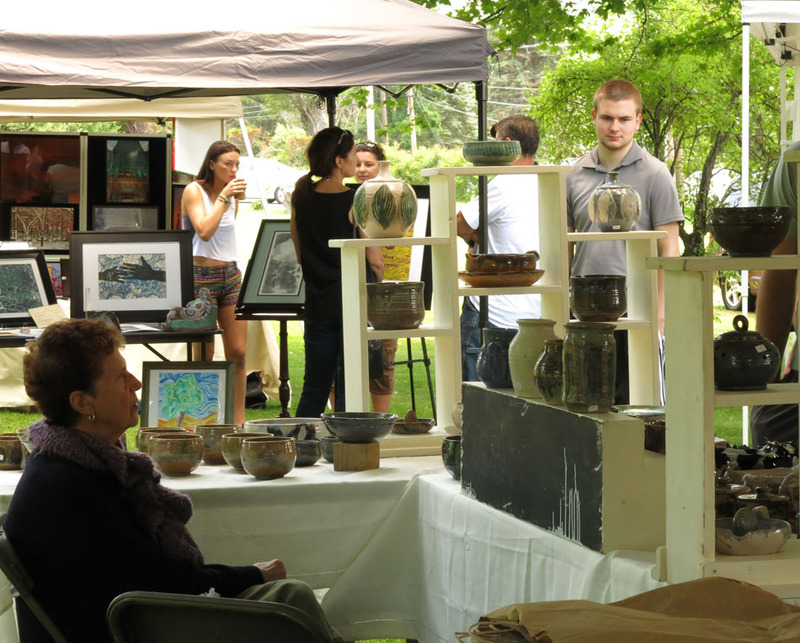 This past Saturday I was privileged to participate in the annual Art Fest organized by the Windham Arts Alliance. 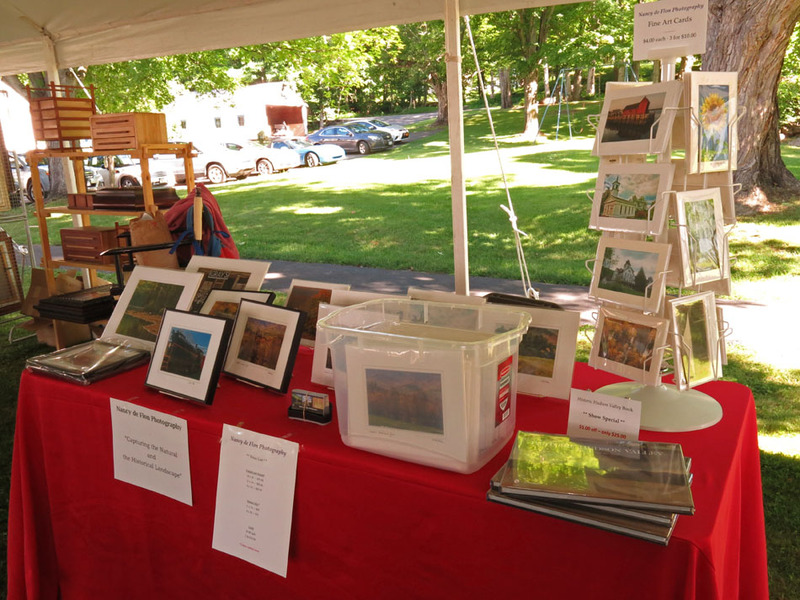 A wide variety of artists representing every medium from painters to pottery makers to photographers and wood crafters gathered under a huge tent on the lawn of Christman’s Windham House to exhibit and sell their wares: Iris Kaplan, Peter Liman, Robert Cepale, Bill Deane , Ray Shearer, and many other wonderful people—and then there was I. Here are a couple of booth photos. 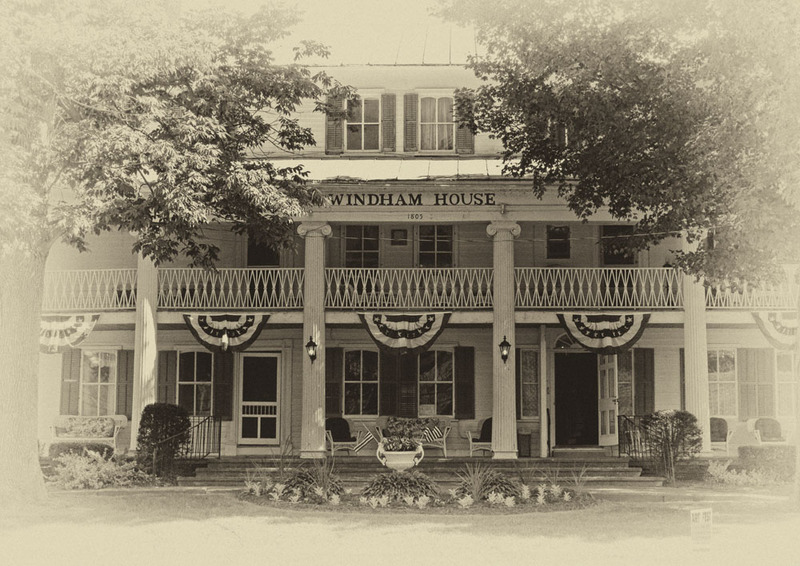 Christman’s Windham House is a treat in itself. 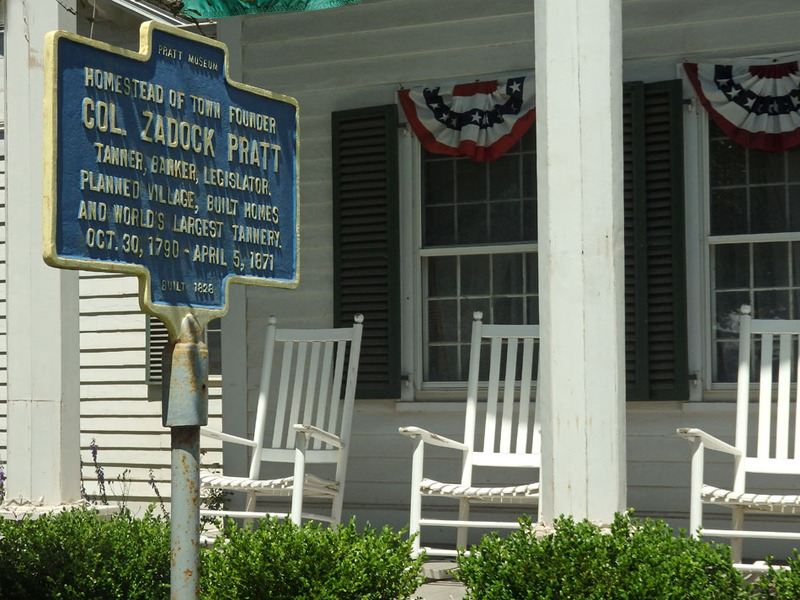 This historic property began life in 1805 as a drover’s tavern on the Catskill Turnpike (note to self: find out to what extent present-day Route 23 coincides with the Catskill Turnpike). A major factor in its enduring success for over 200 years has been its ability to adapt to changing needs and changing fashions in the use of leisure time. 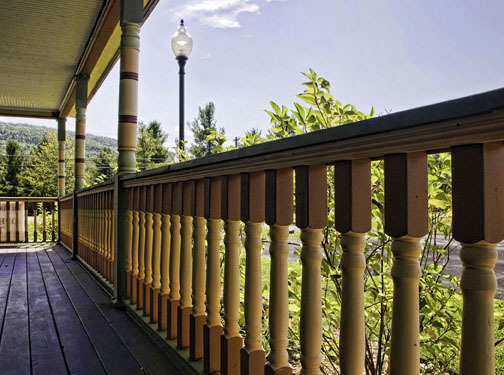 Today, along with the overnight accommodations, Christman’s offers such service as the premier golf course in the Northern Catskills and the possibility of booking wedding receptions. 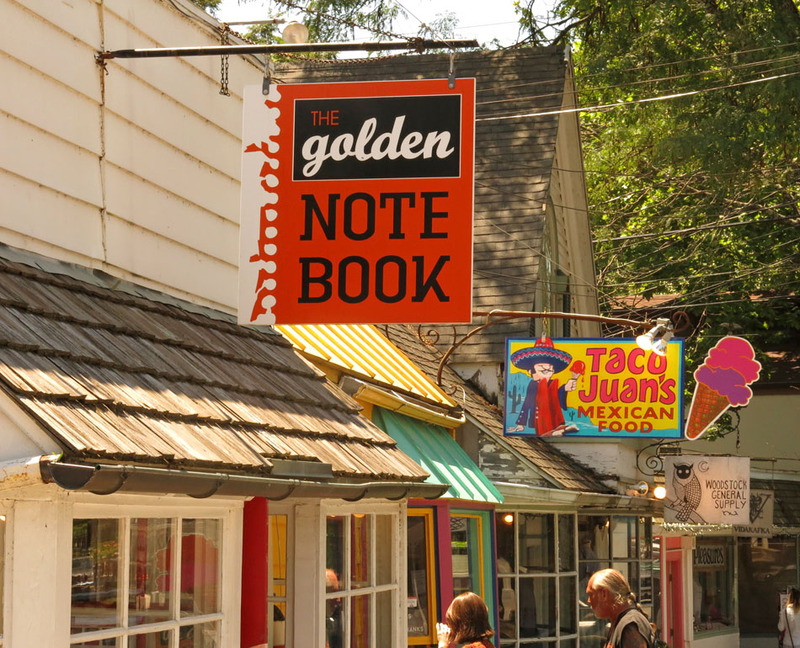 The following day I hung my show at the Golden Notebook in Woodstock! I’m looking forward to giving my talk there on July 26 and hope you can make it, or can visit my show (it’s on the second floor) this month. More about that later.